Onboarding new clients involves a lot of coordination. Between emails, spreadsheets, and coordination between teams, there are a lot of opportunities for things to slip through the cracks. 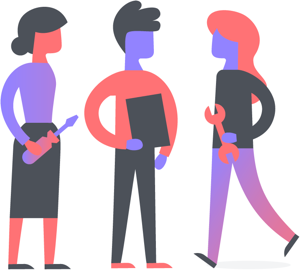 Track your team’s work for onboarding and managing clients with Asana. You’ll maintain clear and constant communication with your clients so the relationship continues to grow. You will set up two projects: one for your team’s internal use, and one between your team and the client. This project will be for just your own internal team’s use to make sure client onboarding is going according to plan. Meet with your team to make sure that all onboarding steps are reflected in the project. Create sections from part one to categorize your onboarding steps. Just type a colon ( : ) after a task name. For any tasks that apply to the external implementation project (see part two), you can [store tasks in multiple projects]. Type Tab + P and click the + button to add another project. Once you’ve created your internal implementation template, tell your teammates to create a new project from a custom template whenever they are onboarding a new client, and rename it to match the client’s name, as well as updating the tasks or task descriptions to match the client’s name and processes specifically. Invite relevant internal stakeholders as project members so they can track their work with the client in the project and provide status updates when needed. This template should be shared with the client so they can check their onboarding progress and send your team tasks and questions along the way. Create a team named “Account management,” or “Client accounts.” This will be where you store all of your client-facing implementation and account projects. Add a project descriptionproject description The project description is a place to provide teammates with the goals and overview of a project. 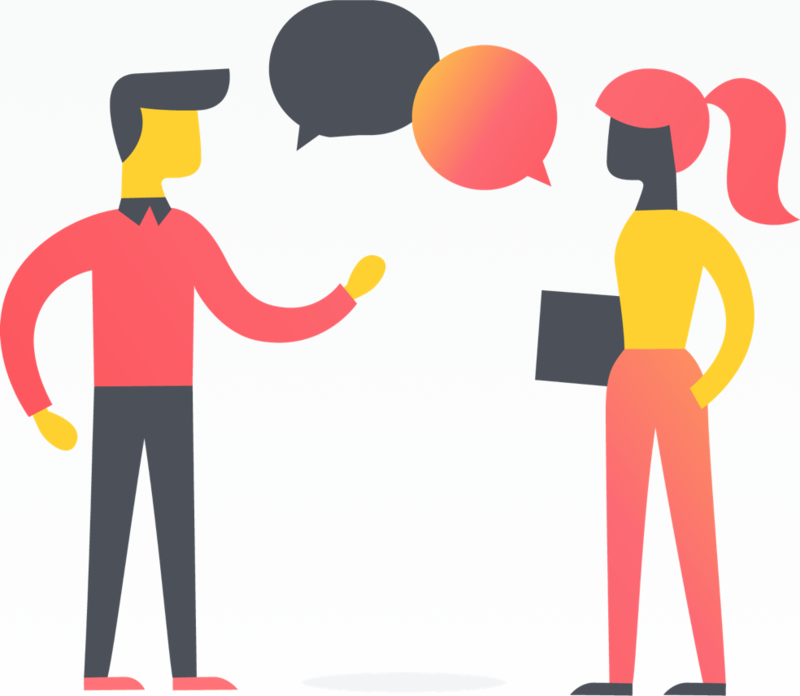 Read more that explains the different sections in the project, the account manager’s contact information, and (if desired) a link to the Guide (/guide) if clients have questions about Asana. Create sectionssections Sections let teams organize your task lists. Divide projects or My Tasks list based on category, workflow stage, or priority. Read more and name them “reference,” “open questions,” and “action items.” Create tasks that make sense for your client base. For example, you might have tasks for a kickoff meeting, loading data, etc. Just like for the internal implementation, once created, save your project as a template by clicking the project header dropdown and selecting Save as a Template. Make sure your teammates create new external implementation projects from the template instead of reinventing from scratch. Once the project is created, you can duplicate the template for each new account and start to invite the client and their teammates as project members (but they will be guests in your Organization.) From your team, you will also invite their account manager, and other relevant stakeholders as project membersproject members Someone that has access to and receives notifications about a project. Read more so they can add tasks, track progress, and provide status updates as needed. Each individual client will only be able to see projects they are invited to within the team, so they can’t see other accounts’ information. Add tasks from your internal project as reference in this project for the customer by typing Ctrl/Cmd + P on the task, and then typing in the name of the externally-facing project. Encourage the customer to add tasks in the “open questions” section to contact you. Add tasks to “action items” when there is work for either your team or the client to do, or if you have follow-up items from calls or meetings. 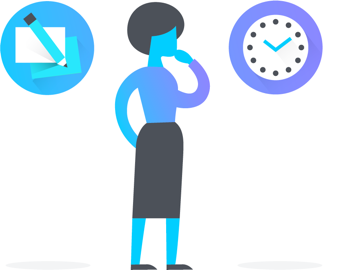 Use Asana as your central repository for sharing files, communicating status updates, running meetings with your client, requesting work, and general communication. 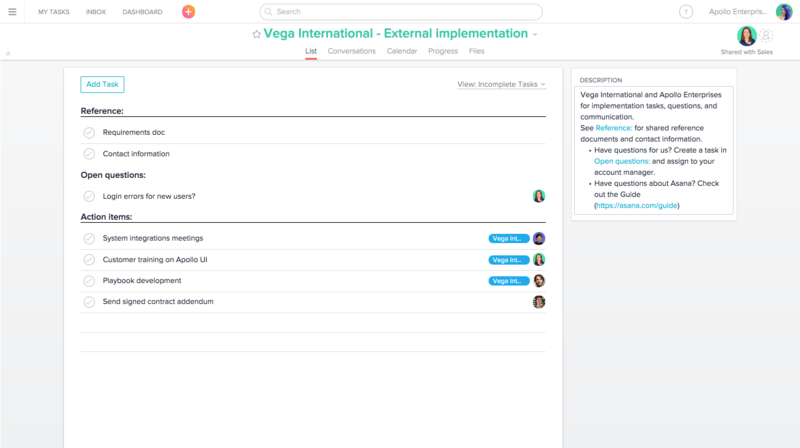 Use progress viewprogress view Progress View helps you track task completion in a project over time and get status updates from Project Owners. Read more to post status updates so your teammates and clients can see how the onboarding is progressing. 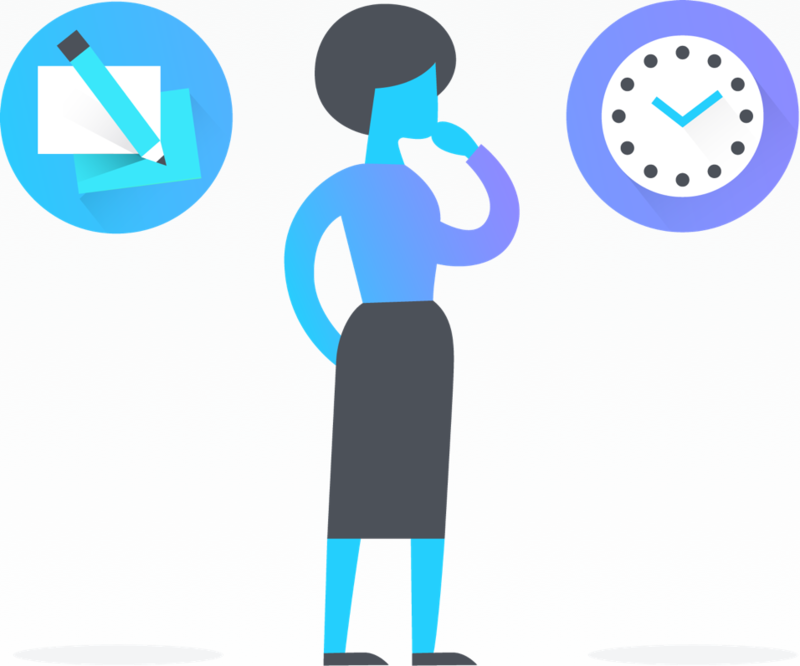 Now that you’ve invited your client into the externally-facing project, you should host a kickoff meeting where both teams can decide on how you plan to collaborate in Asana. You can show them the basics of using Asana, like creating tasks and communicating effectively. You can also explain what information lives in the project, how to post status updates, and where to ask questions and put in requests for your team. These two onboarding projects might just be the start of many more projects you work on with clients. To keep tabs on all the projects for each client, create one portfolio per client. Portfolios show you the real-time status, priority, and progress of projects, so you have an accurate view of how you’re tracking toward your goals with any given client. 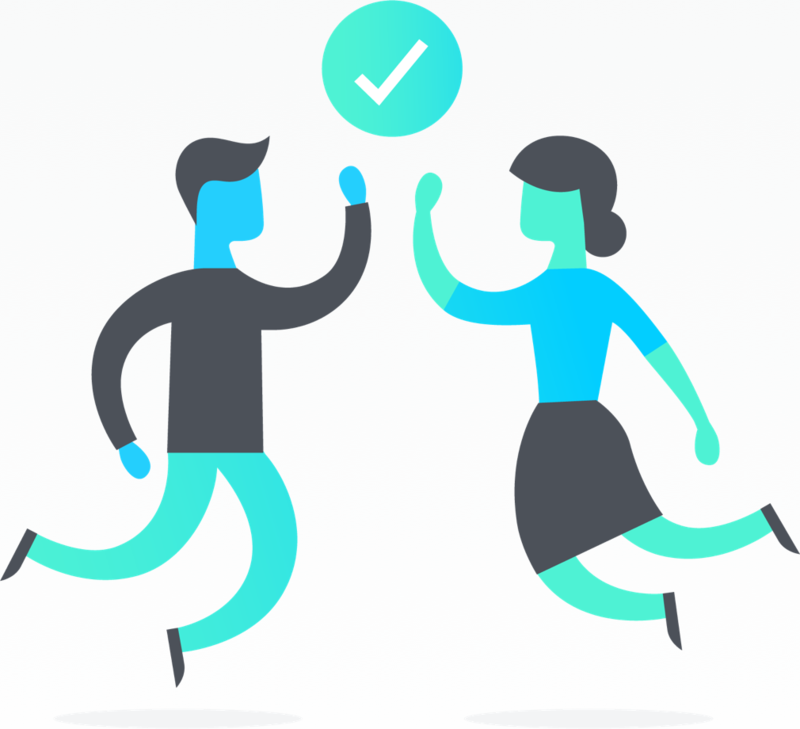 This makes it faster to spot if things are off track to keep your client relationship on track. Internally, you can use Portfolios to help monitor and report on the status of key initiatives with each client. Once you’ve added client onboarding projects to a Portfolio, using Portfolio reporting in Google Sheets can be a helpful way to compare all of your onboarding projects to see who’s on track and which clients need more focus. 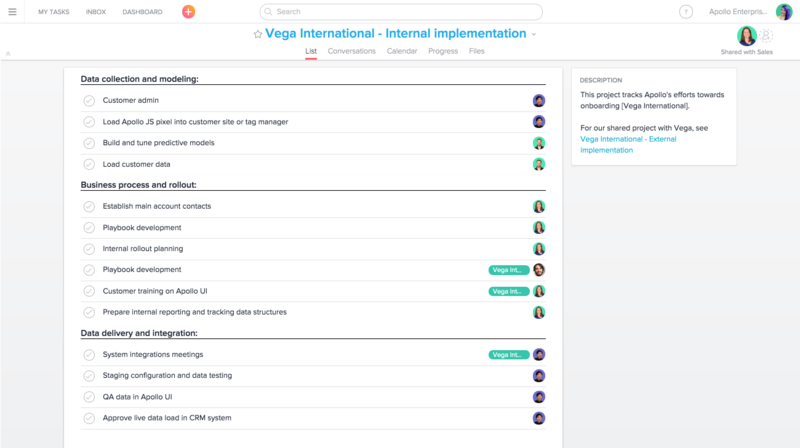 You can create custom reports and visualizations from Asana project data to understand the time it takes to onboard clients, how each teammate contributes to an onboarding, and where there are areas for improvement. 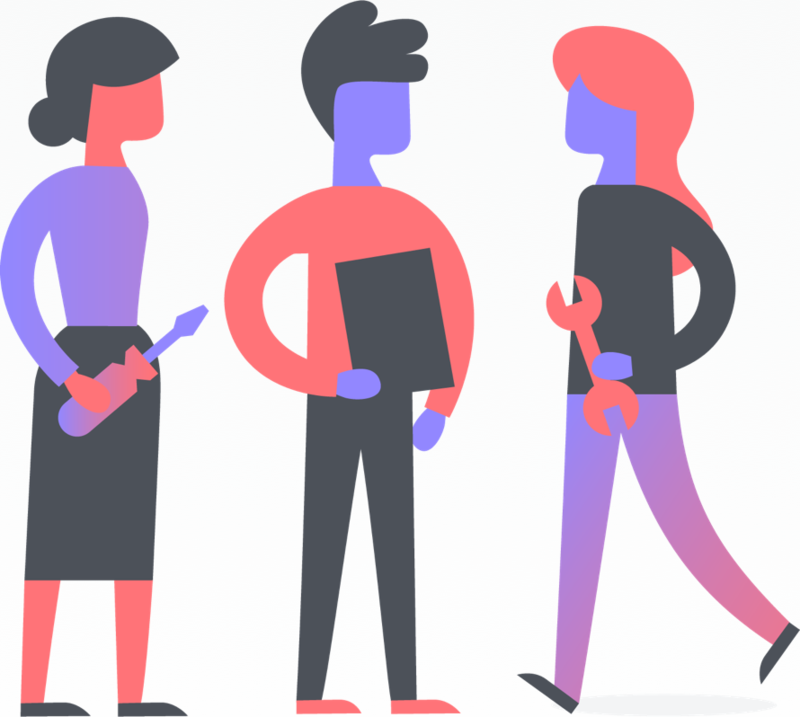 The best customer success managers have Portfolios and more at their fingertips with Asana Business. After building your internal and external onboarding projects, you can use dependencies to show what tasks are waiting on other work. Once a task you’re waiting on is complete, you will receive a notification that the next task in your workflow is ready to start. Both your team and clients can see if there are any hold-ups, and when work on the next step can begin. For example, if you can’t load a client’s data until they fill out an onboarding form, they’ll be able to see you’re waiting on it, no pestering needed. Add custom fields to any project (and even build them into your templates!) to categorize, filter, and denote additional information in Asana. You could use custom fields to show work priority, work stage, capture contact information with text fields, account health, account type, and much more. Tracking anything with custom fields is easy for your team and end clients and gives you a uniform way to capture information. Add custom fields by clicking the blue Add Custom Fields link at the top of the project. Onboard your clients more easily with the power of Premium. Get started for free with a Premium trial today. When all work is tracked in Asana between you and your client, everybody knows who’s doing what, by when. You can spend time working hard for your clients on the things that will build a stronger relationship that you can continue to grow—all without growing your inbox count.